Western monarch butterflies are on the brink of extinction. Learn what you can do to save this iconic species. Monarch Butterfly: Speak, Monarch. Tell Us How to Save You. Western monarch butterflies are on the brink of extinction. Here author Mary Ellen Hannibal grapples with the future of this species what its decline means for us all. Looking for a great hike near the beach? We've got you covered. The snowy plover has been pushed to the brink of extinction. But there's hope at the newly protected Tunitas Creek Beach near Half Moon Bay. Learn more! Subscribe to our newsletter to learn about upcoming events and what POST is doing to protect and care for open space. 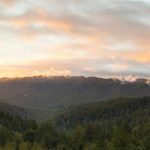 Donors who contribute at least $500 a year and members of our Open Space Legacy Society will have the special opportunity to join POST for this scenic hike at POST-protected Alpine Ranch - a stunning 250-acre redwood park. Register for either the morning session (9:00 AM - 12:00 PM) or the afternoon session (1:00 PM - 4:00 PM). 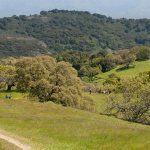 Enjoy a 4.1 mile hike through beautiful Rancho Cañada del Oro! Sign up now and get a chance to view rolling grasslands and oak woodland ridges. 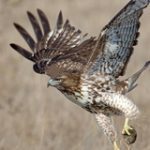 Join POST and Santa Clara County Parks for a unique, informative, and exciting event featuring Master Falconer Antonio Balestreri! Register now to secure a spot to this popular event. Join us for an exciting talk with CNN commentator, environmental activist and former green jobs advisor to president Obama Van Jones. His lecture will focus on bridging the divide between our nations diverse communities so that we can work together towards a more sustainable and equitable future.